Venice is an extraordinarily beautiful city. Venice represents an urban landscape so rich in its lavishness that it can be overwhelming. It seems as if at each step you will encounter some aspect of the city worth admiring. 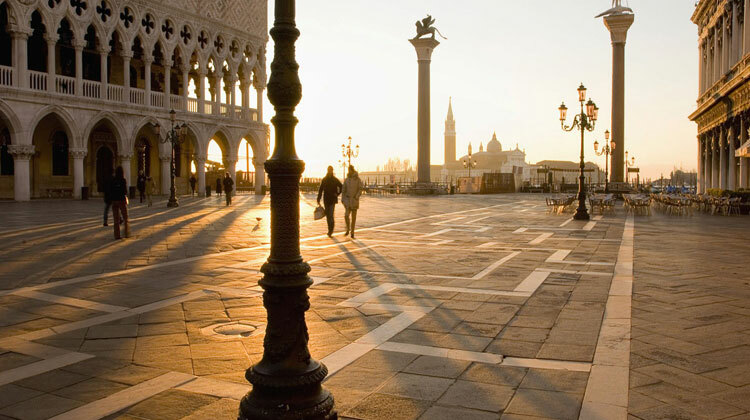 The major sights like the basilica and piazza of San Marco are perhaps the city’s most famous. Venice’s most celebrated event is the Carnival, which occupies the ten days leading up to Lent. Venice is also the home of the Venice Biennale, set up in 1895 as a showpiece for international contemporary art, and held every odd-numbered year from June to September. Its permanent site is located in the Giardini Pubblici. The Piazza San Marco is the hub of most activity, signaled from most parts of the city by the Campanile, which began life as a lighthouse in the ninth century. Venice’s lavishness and fantasy, the result not just of its remarkable buildings but of the very fact that Venice is a city built on water but a city created more than 1,000 years ago by men who dared defy the sea, implanting their splendid palaces and churches on mud banks in a swampy and treacherous lagoon. Gothic styles were adapted to create a new kind of Venetian Gothic art and architecture. Venice is a unique blend of water, art and romance located four kilometers from terra firma and two kilometers from the Adriatic Sea. It is a treasure from the artistic and architectural point of view. The city was built on over 100 islands in a lagoon on an exceptional atmosphere during the phenomenon of "high water," when the high tide exceeds the level of dry land and floods the main streets and piazzas of Venice. For these reasons, Venice is one of the cities most visited by tourists from around the world. Byzantine, Gothic and Renaissance are the principal reference points for the artistic development of Venice.